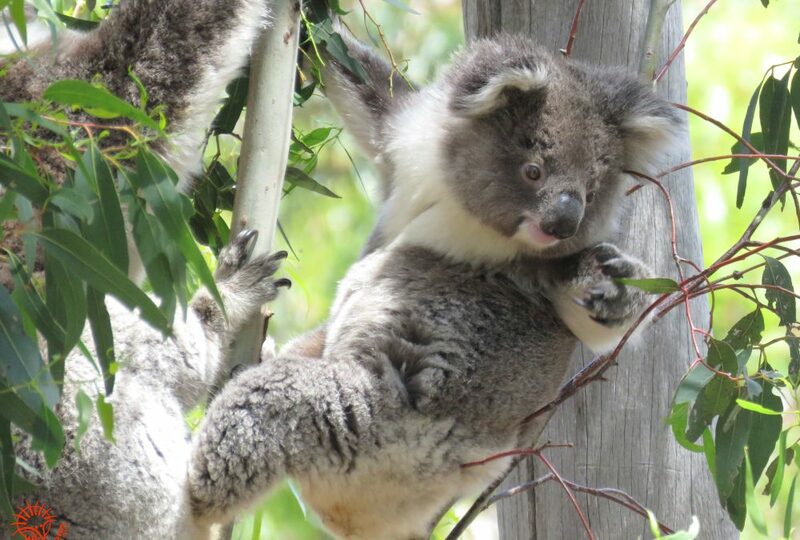 Named to honour Cuddles of Noosa, a wild male koala who was monitored for years by Bernard Jean & Meghan Halverson of Queensland Koala Crusaders/Noosa Koala Sightings. 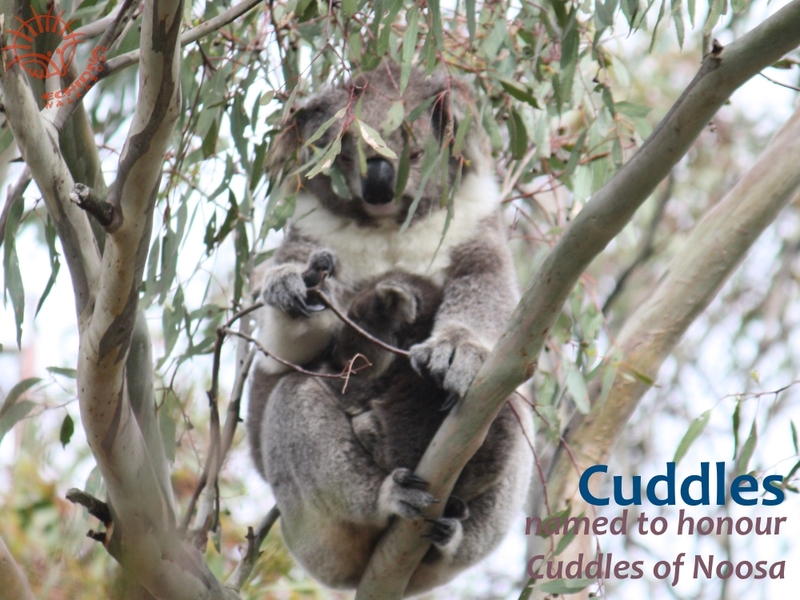 Cuddles of Noosa sadly passed away in 2016, the year Cuddles of the You Yangs was born. she first emerged from Misty’s pouch in August 2016 – she would have been born in February 2016. 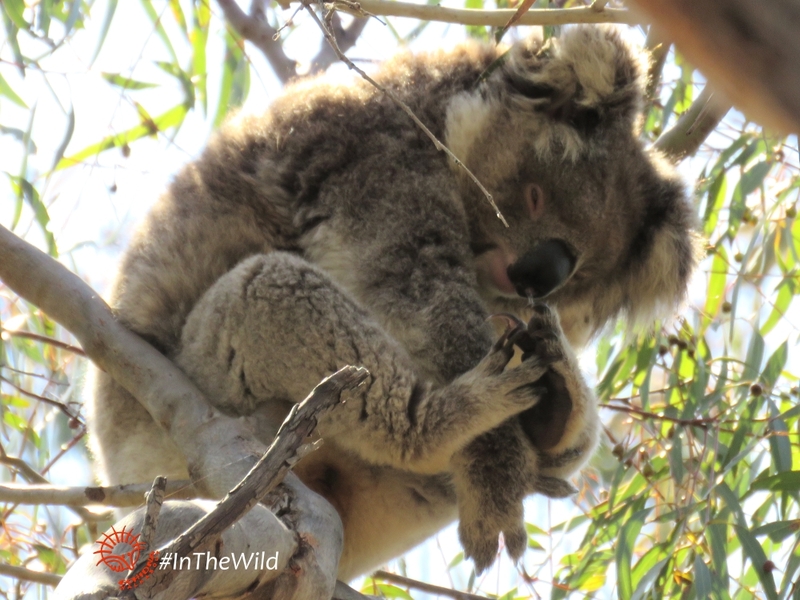 Her mother is Misty, one of our most often seen and well known koalas. Cuddles is Misty’s second joey – she has an older brother Lluvia. Dominant males Anzac and Cruiz (one of whom is probably her father), her mother Misty, female Pat. Occasionally her brother Lluvia comes by for a visit.